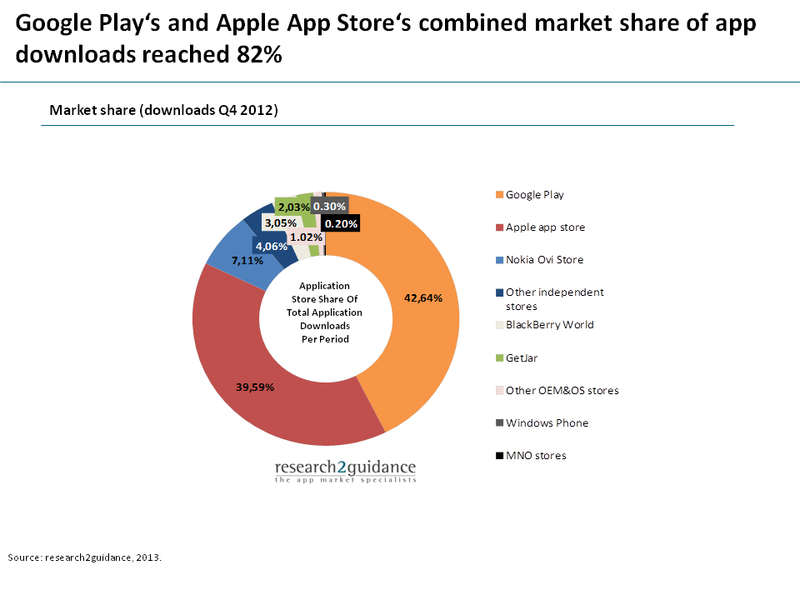 Research2guidance has released a complimentary whitepaper titled, "Whitepaper: Smartphone App Market 2013"
While Apple’s market share of app downloads constantly fell from 81% in 2008 to 39% at the end of 2012, Android’s app downloads increased year over year reaching 42% at the end of 2012. Microsoft, BlackBerry, Firefox, Ubuntu or Jolla have come up with fresh and new app platforms which will challenge the two market leaders. research2guidance is a Berlin-based mobile app economy specialist. The company’s service offerings include app strategy consulting, market studies and research.